And finally, the big day arrived. 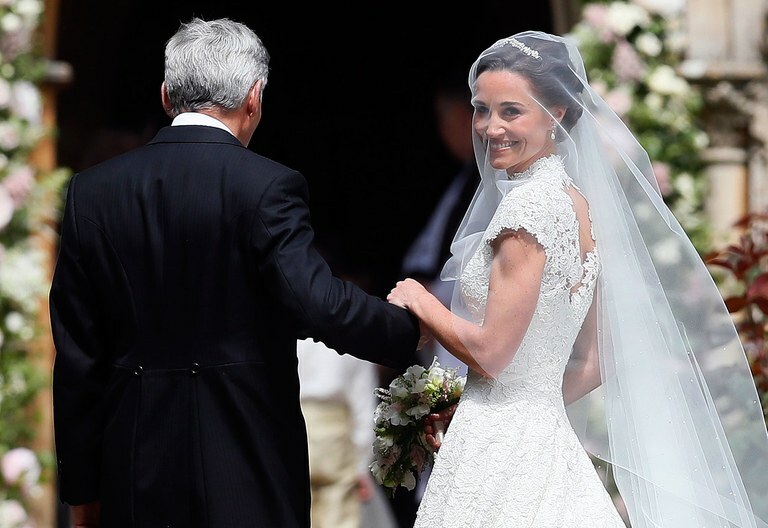 Six years after stealing the show at her big sister’s wedding, it was Pippa Middleton’s turn to walk down the aisle last month. The author and columnist married her hedge fund fiancé James Matthews in Berkshire in what was dubbed the ‘wedding of the rear’. Our Woodhall Manor wedding planners take a look at her wedding choices to see what top trends Pippa followed (or started) on her big day. Wearing a dress by British designer Giles Deacon, Pippa looked radiant in the creation made by the designer who was also responsible for the stunning strapless dress worn by model Abbey Clancy when she married footballer Peter Crouch. Giles released a statement on the day saying he was “thrilled” to have been behind Pippa’s wedding dress and it was a pleasure working with her. Much to the delight of the Woodhall Manor team Deacon then went on to describe the gown in plenty of detail. We expect to see copycat designs from many high street and mid range wedding designers before the season is out as we adored Pippa’s high neckline paired with the delicate cap sleeves and don’t think we’ll be the only ones! As yet, no photographs have emerged of the evening reception, but rumours suggest the new Mrs Matthews donned a second dress for the dining and dancing, much like her sister did six years ago. We’ve seen unconfirmed reports of a full-length white gown with plenty of embellishment, also by Giles Deacon. To walk down the aisle Pippa donned a traditional veil created from delicate tulle and featuring tiny pearls. It was created by renowned milliner Stephen Jones and the new Mrs Matthews removed it before leaving the church on the arm of her new husband. The bride kept her jewellery minimal for her big day. Aside from her statement diamond engagement ring, she wore a pearl Maidenhair fern tiara by Robinson Pelham as well as the pearl and diamond earrings she wore for Kate’s wedding in 2011 (also Robinson Pelham). Customised ivory satin pumps by Carrie Bradshaw’s favourite Manolo Blahnik completed her chic look. For brides wanting to copy Miss Middleton’s shoe style, the brand’s Seneca shoes are a near match and a snip (!) at £715. The wedding ceremony took place at St Mark’s Church in Englefield, Berkshire which is located close to Pippa’s parents home. The Middleton family and James Matthews were seen attending services here over the Christmas period signalling this was the venue for the upcoming nuptials.  Hymns included Be Thou My Vision; Tell Out My Soul and I Vow To Thee, My Country. Spencer Matthews of ‘Made In Chelsea’ fame and the groom’s brother read a passage from The Alchemist, while Pippa’s brother James Middleton read the poem Love Is An Adventure by Pierre Teilhard du Chardin. Wary of being upstaged by grown up bridesmaids, Pippa had eight page boys and flower girls in attendance – four of each. 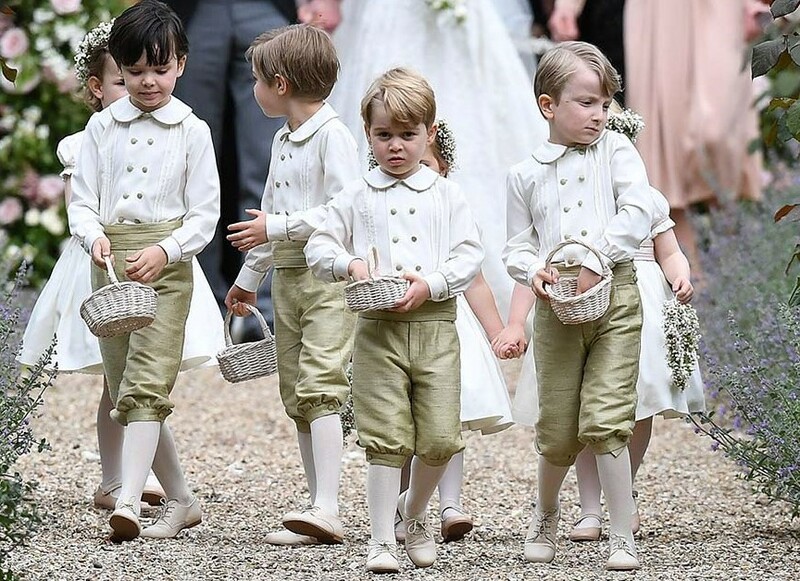 These included the real stars of the show, Kate’s children Prince George and Princess Charlotte as well as children of the bride and groom’s closest friends. After a champagne reception at Englefield House adjacent to the church, guests were transported six miles to the Middleton family home in Bucklebury where an enormous glass marquee had been erected in the grounds. Canapés of langoustines, asparagus, Foie gras and serrano ham were served before guests sat down to a sumptuous banquet that included Scottish lamb and trout. There was a dramatic fly past by a vintage Spitfire and further entertainment from a jazz quartet and band as guests danced until 4 am. It certainly looked like the wedding of the year from the photos we’ve seen, so we send our very best wishes to the newlyweds. If you’re planning a wedding and are looking for the perfect venue for your own VIP event, our planners would love to hear from you (even if Hello! won’t be covering your big day!). We can throw some celebrity style magic over your preparations so give us a call at Woodhall Manor on 01394 411288 or email info@woodhallmanor.com to arrange a private tour.